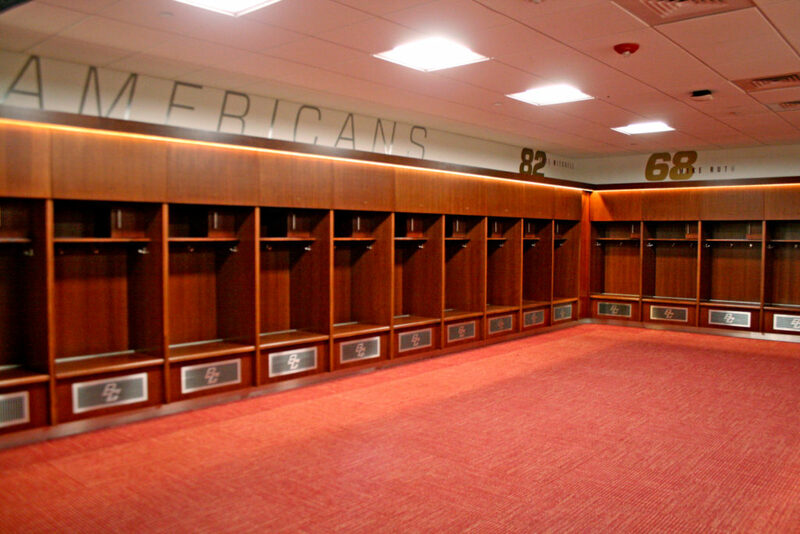 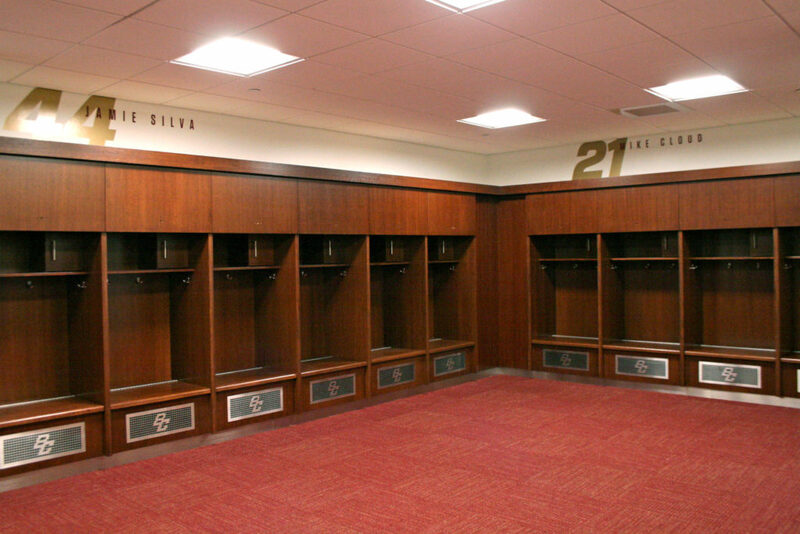 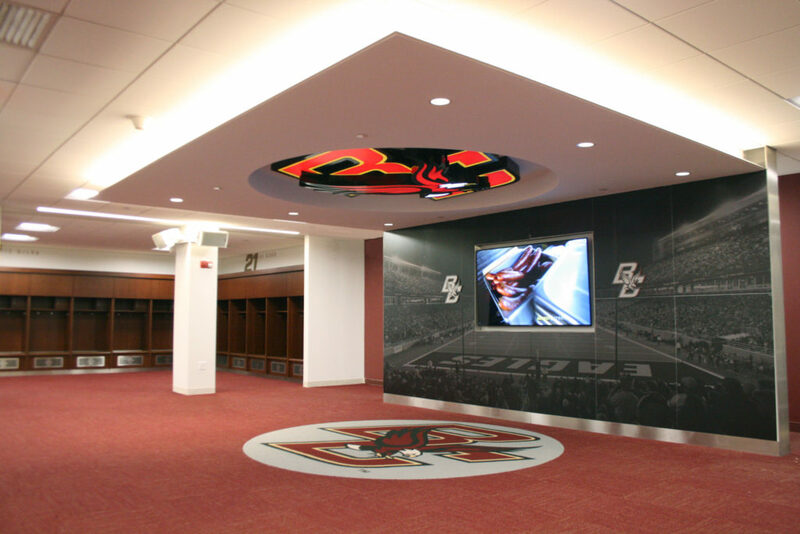 BC’s football team was greeted with an updated locker room when they returned from their summer break. New lockers were installed along with fresh carpeting and lighting with diming controls. The focal point of the newly renovated locker room is a dry wall cloud ceiling system that houses a custom LED BC logo light.